Safeway Infra happy to launch another venture " Swarovsky" near BHEL, after successfully completing Symphony Park Homes. Lakeside Paradise will offer you the respite from your daily woes and kindle in you an inclination to "stand and stare" and "pause and ponder". Yes... we offer you the best ambience where you shall be in touch with nature at its best. We promise you a serene home that will nurture the best in you. RCC framed strums. to withstand Wind & Ss rnic loads. 6''external & 4'' intenal walIs with solid blocks. 2 Coat of plastering in CM 1:6 for walls & ceiling. 2 Coat of plastering in CM 1:6 for external walls. Teak wood frame with moulded paneled shutter doors with melamine Wishing & reputed make fitting. M.Teak wood frame with moulded Hush shutter door with painting & reputed make hardware fittings. UPVC door frames with floated paneled shutters & & designer hardware of reputed make. UPVC window system with Float glass with suitable finishes as per design, with provision for mosquito mesh. Smooth putty finish with 2 Coats Acrylic Emulsion Paint of reputedmake, over a coat of primer. 2 Coats of Exterior Emulsion paint of reputed make over a coat of primer. 800 * 800 - Vitrified tilling of reputed make. 600 * 600 - Vitrified tilling of reputed make. Granite tiles of reputed make. Glazed ceramic tiles upto 7'-0'' height of reputed make. Glazed ceramic tiles upto 3'-0'' height of reputed make. Provision for fixing Aqua Guard. Wash basin and EWC of reputed make. Hot & cold water mixer with shower. Provision of Geysers in all bathrooms. All C.P. Fittings are of reputed make. Wiring with fire retardant PVC insulated flexible multi stand copper conductor wires. Distribution boards (DB) of 16 SWG sheet cubical design conforming to International Standards of a good factory made. Miniature circuit breakers (M.C.B) & Earth Leakage Circuite Breaker (E.L.C.B) of good quality make. 20 amps 3 phase supply for each unit and individual meterboards. To increase the security standards, intercom facility from the Main Security gate to all villas will be provided at living anf home theater rooms. 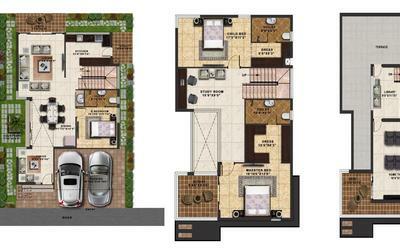 Complete internal wiring will be provided in living room & home thater. Water supply through hydro pneumatic system. Underground cabling for telephone and electrical lines. Safeway Infra came into existence during the year 2011 as a Partnership Firm, Registered under Indian Partnership Act 1952. 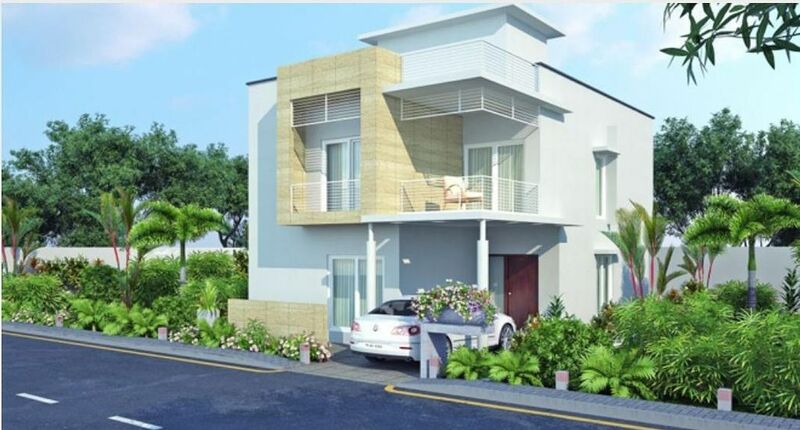 During the last 12 years, the firm made its in roads in Real Estate horizon of Hyderabad having done, considerable business by undertaking development of layouts and by partnering in construction with a few builders.